We take the Pan-American Highway towards the city of Alajuela. En route we will pass the Agriculture Monument, the Monument to Juan Santamaria, our national hero and the famous Mango Park. Estimated Departure from San José: Between 6:30 A.M. – 07:30 A.M.
As we ascend the mountain, we will see coffee plantations as well as fern, flower and strawberry farms along the way, creating a beautiful array of colors and visuals. 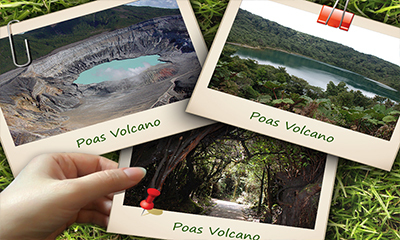 ENTRANCE FEE TO POAS VOLCANO NATIONAL PARK.